We are happy to Report that the Pearce grip for the XDS-45acp model PG-XDS will also work with the XDS-9mm. 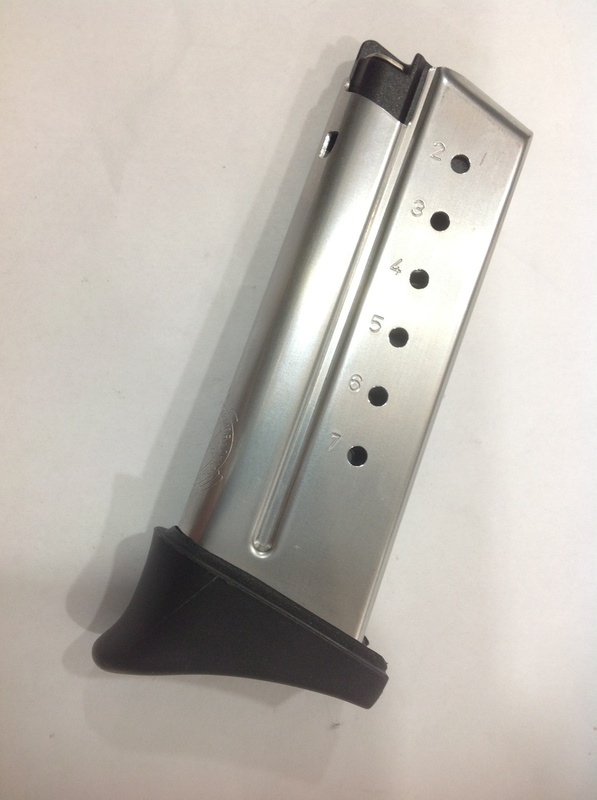 There is a difference in the front to back measurement between both magazines, the 45acp magazine is longer front to back. When you install the Pearce grip on the smaller 9mm magazine you have some more waisted grip hanging off the back of the magazine. But since the external grip of both XDS pistols have the same dimension the peace grip fills in the gap nicely. The current Pearce grip for the 45acp XDS installed on the 9mm XDS. It looks like it was specifically made for it. Above are pictures of both the XDS magazines left 9mm right the 45acp with the same Pearce grip installed.